We have all been there — you want to fit a workout in but it’s too hot, too cold and/or too late to get out to the gym. Maybe you are on a business trip and the hotel’s gym is subpar. Or perhaps you just plain ol’ do not live near a gym — this is when streaming workouts can be a lifesaver. At Fit Bottomed Girls we hear from new online steaming fitness companies all the time, and it can get overwhelming figuring out what each offers and if they are worth recommending to our readers. So, we decided to take a look at a variety of options to help anyone find the “just right” online workout. Consider it a fit hack to help you get a workout no matter where you are (see all the fitness hacks for Fit Bottomed Hack week here)! So let’s break out the wifi and get ready to sweat! 1. Crunch Live. Crunch gyms have been famous for years for having the hottest new group fitness classes with even hotter instructors teaching them. Their monthly membership fees have never been on the cheap side, but just about anyone can afford $9.99 to take advantage of fun Crunch workouts, including Barre Assets, Rear Attitude, Burn & Firm Pilates and even Gospel House Aerobics. The production is top-notch with Crunch Live, and you really feel like you are taking a class at one of the cool downtown NYC locations. You can save your favorite workouts as a playlist. Go to crunchlive.com to try it out for free for one-week trial session. 2. Body By Simone TV. Simone De La Rue launched her Body by Simone fitness studios a few short years ago in New York City and Los Angeles, and they immediately became a hit with celebrity clientele that includes Anne Hathaway and Naomi Watts. Using her dance background to teach proper technique, Simone and her trainers work one on one with their clients to reach their fitness goals — and she has taken more than 20 of her top workouts to Body by Simone TV so that you can access them with a monthly fee of $9.99. Available workouts include Cardio Burn, Trampoline Cardio and Body Bands. Not a huge variety of classes are offered here, but they are very challenging and Simone is a manic pixie delight. 3. Grokker. This brand new site is currently free for all users and features thousands of wellness videos covering yoga, fitness, and cooking, and it’s community driven. You can share your favorite recipes and workouts with others on social media. I was immediately impressed with the number of high-quality core workouts available (in addition to just about any other workout you want) and the interactive nature of the site. Perfectly suitable for all fitness levels — Grokker is currently in beta form so for now they are free. So be sure to check them out now. 4. DailyBurn. One of the leaders in online health and fitness content — DailyBurn classes are something I have been hearing about for years and was impressed with what they offered. Their HD-quality workouts range from 15-minutes to more than an hour and are available for $10 per month for unlimited access. Some of their standout programs include Beautiful Belly, which is geared toward expecting moms; Inferno, a high-intensity 21-day program; and True Beginner for exercise newbies. One big plus with DailyBurn is that they post your approximate calorie burn to keep up your motivation. DailyBurn will also recommend workouts based on your goals to offer a customized experience. Additionally, these high-definition workouts can be streamed on almost any platform including iPhone, iPad, Android, Apple TV, Roku, Xbox, Samsung Smart TV, Amazon Fire, Google TV or any computer. 5. Acacia TV. Do you Roku? I bought one of those amazing wonder boxes a few years ago and streaming movies and TV has never been the same for me. Acacia TV now has their own channel on Roku hosted by SparkPeople’s Nicole Nichols (aka “Coach Nicole”) and featuring a plethora of bold-faced stars such as Shiva Rea, Kristi Yamaguchi, Bethenny Frankel, Kathy Smith and Lisa Whelchel (Blair from The Facts of Life — OMG!) to name just a few. This is a one-stop site that will have something available for everyone, from the seasoned yogis to the kettlebell enthusiasts. Three subscriptions are offered: monthly access ($6.99), 90-Day Burn ($14.99) and yearly $49.99. Available on Roku, PC, Mac, iPhone, iPad and Galaxy S.
6. The Bar Method Online. Burr Leonard created The Bar Method with one studio 23 years ago and has since created a worldwide franchise that sells a popular line of DVDs, apparel and accessories. Now you can try their variety of workouts online (led by Bar Method teachers from across the U.S. and Canada) with several different packages available including 24-hour, weekly or monthly memberships. The workouts are designed for all fitness levels (including pre-natal) with fees ranging from $5 for the 24-hour pass up to a “premier monthly membership” for $35. 7. FitnessBlender. How about a free workout? Husband and wife trainers, Daniel and Kelli Segars, created FitnessBlender.com in 2010, and they offer more than 400 full length workout videos online for free that range from 5 to 90 minutes in length and are designed for beginners up to elite athletes. An array of training types are offered, including HIIT, strength training, Pilates, kettlebell, cardio, stretching, boot camps, yoga and more. Daniel and Kelli are passionate about creating workouts available to anyone interested in getting healthy, no matter what their income. They also offer meal plans to follow for those interested in learning about nutrition and clean eating. Online memberships start with “low level,” which is $10 per month and you can cancel anytime up to a “high level” yearly membership of $500 that includes access to “All Salvation” content. Fans of Gym Jones include 300 director Zack Snyder and Chris Evans (you probably know him as Captain America). I’m a fan of http://www.jessicasmith.tv and her YouTube channel. TONS of variety, all free. Also Jenny Ford has a lot of online content that is high quality on youtube for free. 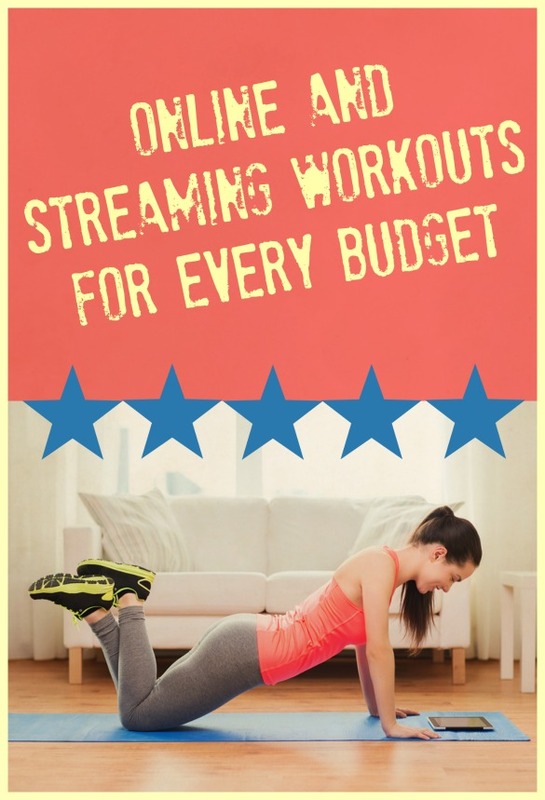 And Suzanne Bowen’s streaming workouts are DA BOMB, I tell you. Jessica Smith is a certified wellcoach and fitness expert who has a tremendous variety of free YouTube videos on her jessicasmithtv channel. You can access the video list and a ton of other information on jessicasmithtv.com. She typically produces a new video each week and and publishes a suggested workout schedule each month. Jessica has recently added a “Q and A Wednesday” video where she responds to a viewer question each week. She’s also highly accessible to her “community” through social media and will respond directly to you. It’s like you have a free personal trainer. Just wanted to weigh in. Those are great sites, and I also like http://www.workouthotel.com a lot… there are some great workouts on the site (all free! ), and different lengths (10 min, 30 min, etc) so even if you’re busy you can squeeze in something. You can definitely get a good workout in, and I do some of the workouts with my son, because there are some for kids too, so that’s even fun for when I’m busy with him and want to still do something. Great list! I love Fitness blenders. When I don’t want to waste the gas driving to the gym, there is always something great on their youtube channel. I just recently found doyogawithme.com It is free for streaming yoga flows, with many types of yoga and levels offered. You can purchase a download if you need it offline for any reason. They have very good instructors! I have been using wello.com for over a year now and I really like it. It’s on the pricey side but you can do individual training sessions as well as group classes. The flexible scheduling process makes it easy for me to fit a workout into my day. This is a great list! I’m a Pilates instructor and provide tons of free workouts on my site as well. 🙂 Exercising at home is a great option and it’s so nice to have a wide variety of styles to choose from! Thanks for sharing this. You missed the most amazing streaming workout website http://suzannebowenfitness.com/streaming-workouts/ It has been the best $10 dollar investment in my health. There is so much variety and Suzanne is top notch in motivation/creativity/supportive/professional. All the workouts are created to give you the most out of your time and you will see the best results from this method. I have never been so happy working out, you will leave with the biggest smile and feeling of empowerment after her workouts. I am full on addicted to SBF streaming workouts. I can’t believe that Suzanne Bowen didn’t make this list. By far the BEST for barre online workouts. jSo affordable…superb form guidance, endless variety of workouts (beginner to advanced…strength to cardio/tabata ) and an amazing role model for women. If you have not tried it yet. please check out her website…www.suzannebowenfitness.com Offers not only just workouts…but food guides, product feedback on her favorite things (not an advertisement way), and a healthy mental approach to our bodies. A truly amazing woman and method!!!! I also use Suzanne Bowen’s SBF site, and LOVE it! It’s such good value, with loads of barre-based content on there, I never get bored. Suzanne is such a great instructor, with great attention to form- my form has improved so much since working out using her methods, and I am fitter than ever. I absolutely love Suzanne Bowen Fitness streaming workouts! She has a mix of barre, pilates, HITT, strength, cardio, upper body and more for different work out times ranging from 5 minute pick me ups to longer 15, 20, 30, 45, and 60 minute work outs! $9.99 per month for access to over 250+ exercises (and more added every month). Once you sign up, you can join Suzanne’s facebook community, where Suzanne, herself, and other members are so supportive, encouraging, and GREAT accountability partners. You get a great work out (shake, burn, change!) without crazy impact. I LOVE IT! You can sign up on her website for a FREE 48 hour trial (no CC required to try) 🙂 I highly recommend Suzanne Bowen Fitness. SBF is an amazing online community. Suzanne Bowen is the creator of Barre Amped and has a huge library of workouts ranging from 15 min- and hour! She is well trained and her work outs are amazing! Joining Suzanne Bowen Fitness was a game changer for me- intense but restorative. The SBF community is awesome, too. I never thought I could find so much personal attention for $10 a month (as little as $80 a year). A must try. I agree with several others on here — this list is incomplete without Suzanne Bowen Fitness… I am more in shape and having greater joy with exercise than I ever have had before, even with WAY more expensive programs or gyms. Can’t speak highly enough about her and the work she’s doing! another vote for Suzanne Bowen!!!! best workouts ever, they have totally changed my body!!! I love Suzanne Bowen workouts too. She has such a huge variety on the the streaming site and adds new ones regularly. She also runs challenges where she tells advises you on what workouts to do each day to have a rounded programme. The best thing is how you feel after the workouts. She also advises on form really carefully and has a lovely friendly teaching style. The community on the SBF Facebook group is also hugely supportive and motivating. I’m currently loving Suzanne Bowen Fitness. http://suzannebowenfitness.com/ Her workouts are challenging but doable. She promotes a perfect balance of working hard but not obsessing. I’ve made huge strength gains without sacrificing flexibility. Suzanne’s form pointers are spot on. I think that’s a big part of why I’ve had such great results. And a bonus – Suzanne is so likeable you feel like you’re working out with a friend. I really love Suzanne Bowen, Jessica Smith and Bizzie Gold’s Buti yoga. They all are great in their own way and each offer a little something different. I love all 3 and can’t go without them. I just love the ability to take these classes theists online streaming. Studio Sweat on Demand is amazing- huge range of classes, spin, sculpt, TRX. New classes every week and fantastic trainers. Have you checked out BOD yet? I know it’s new which is why it probably didn’t make the cut, but I know you’re into Beachbody programs too because I’ve followed you for like forever. Beachbody On Demand is AWESOME!!! I have a bazillion programs already, but they have a ton of programs on here I don’t have. For anyone looking for live 1-on-1 workouts, check out Fit Armadillo (how could you not love the name?!). They offer sessions for as low as $39, but it’s not streaming someone else’s class – it’s you and your trainer. Customized and 1-on-1 attention plus they have the option to train on demand (30 mins in between booking and training). I’ve tried personal training and private yoga classes. Love this company! I am liking Sleek Technique and fitnessGlo. I really want to join all the sites but I do not have time so I will pick the Grokker. Thanks for sharing!